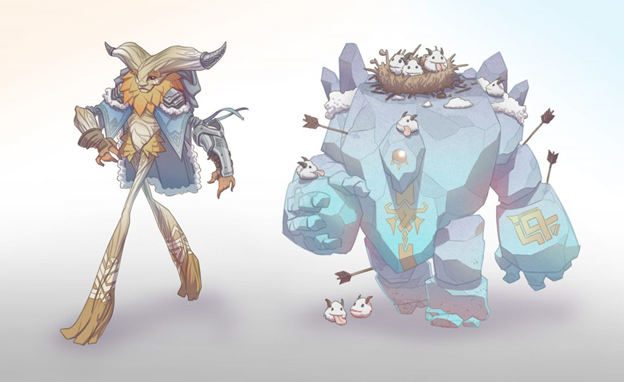 Hopefully with these unique ideas, Riot Games will launch new costumes for Ivern. 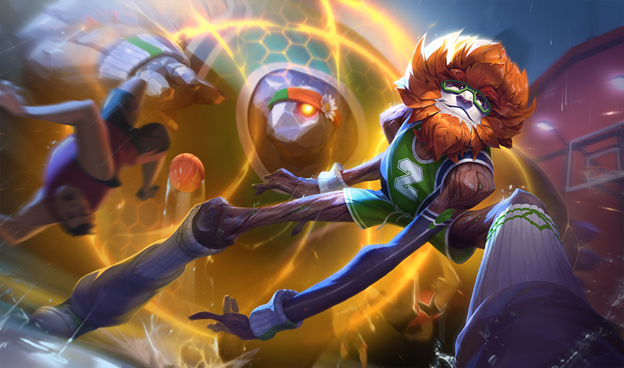 When Riot Games revealed that they will release Ivern’s new skin in the Basketball Superstar concept, fans are not very excited. Nobody plays Ivern because this general looks … weird and doesn’t match well. But the skin is still released, and more mixed opinion. As a result, talented painters under the gamers have started creating new Skin so that this forest god has a more beautiful appearance. 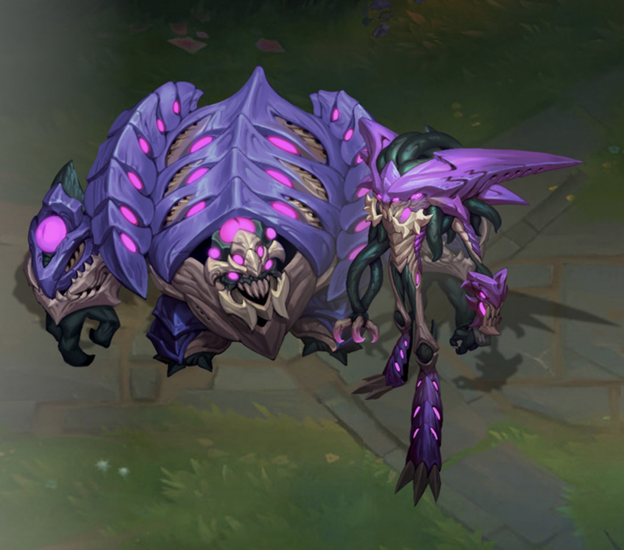 The first Skin – temporarily called Hell Ivern – was created by Andrea Fernandez with the image of a melancholy skeleton burning. This image contrasts sharply with Ivern’s bright, funny and friendly looks. 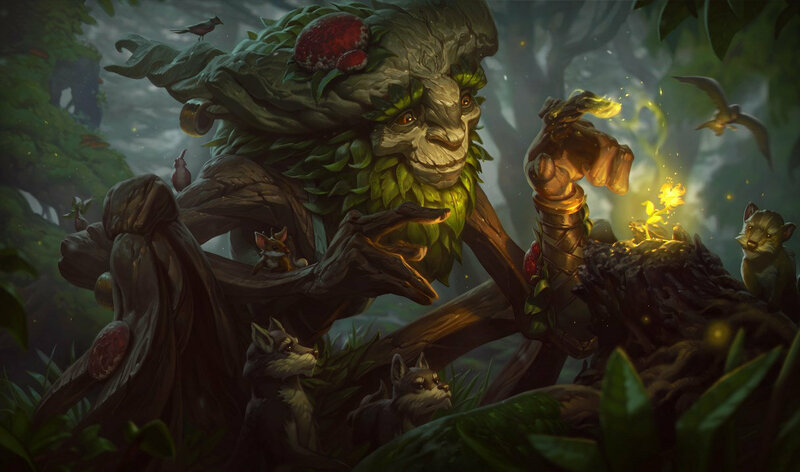 There are many speculations that this may be a new storyline for Ivern when he became that way to seek revenge for those who burned the forest. This skin, if released, can also bring new changes, such as Teemo. Team Omega has a lower, more moody voice than the default voice. Although it did not appear, but a Daisy’s molten lava sounded quite well. The Ivern Skin coming from Vlad Bacescu that impresses heavily on the image, and can also come with a voice effect. Even Ivern can call out the Unreal Daisy to punch the faces of all enemies. The Baston brothers’ Skin Ivern Freljord is a pretty cool skin that portrays a new look of Ivern in the cold winter. The green leaves under Ivern’s chin turned yellow, and the dark skin of the bark became lighter and made Ivern look more gentle and elegant. And Daisy became different when she looked like an iceberg rather than a stone. 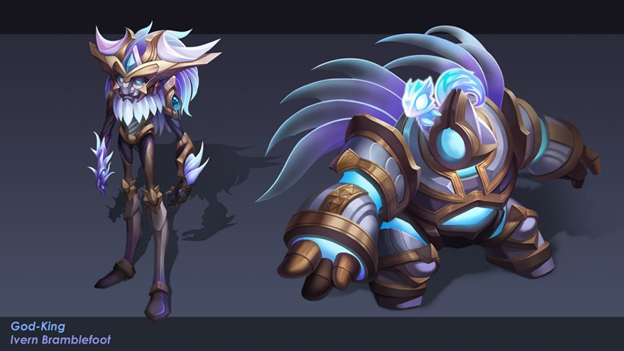 Skin was finally created by Qiang Wei according to the God King theme, according to everyone’s comments, quite similar to Hextech skin. Many fans have voiced that Riot Games needs to change skins for characters, such as Jarvan IV who has the Super Basket Basketball skin and Ivern with Hextech skins. No need to say more, the body and elegant design of the skin will make many people nod their head in recognition. Unfortunately, these are just ideas on paper. And while waiting for one of these beautiful skins to be done, we have to temporarily play Superstar Ivern Basket .